Before going to the fish store or a breeders and going to pick the most colourful and bright selection of fish to fill your aquarium, stop, and think. You first need to consider where you're putting them. The tank needs to be cycled and stable with a firmly established biological filter. To read a guide on how to set up an African Cichlid tank, click here. You also need to consider the compatibility of your fish. 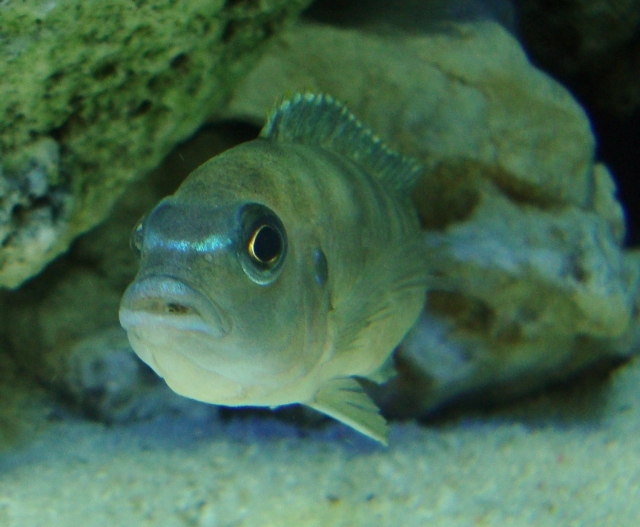 Malawi Cichlids, Mbuna especially, can be very aggressive, which can cause problems. There are a few relatively passive, easier mbuna to keep that are recommended to newcomers. There are a few fish that definitely shouldn't be kept together, and you should consult a forum to find out specifics before buying fish. Usually, you shouldn't keep two fish of the same subspecies together, such as Afras, due to hybridisation. Aggression will also increase between males of species that look very similar. By having differently patterned fish, they won't mistake one another for one of the same kind. This will decrease aggression, as the males won't see one another as major competitors, and will also decrease the chances of hybridisation. Ratios are important too: a female-heavy group will keep down the attention and resultant stress on the females. Be wary when buying the fish. Only buy from a well-informed store, or a breeder. Preferably a popular breeder, to ensure the quality of your fish. When selecting your fish, health is a major consideration. Is it actively swimming around and looking healthy? Inspect the fish to make sure it doesn't have any visible diseases. Depending on the fish, it may be a good idea to put the fish into a quarantine tank before introducing the fish to your main tank. This is the norm when dealing with the more vulnerable wild-caught fish, and some keepers will do this with all of their fish to protect their other stock from being infected by any diseases that are not immediately apparent. Once you're ready to add your fish that you've thought so long about, make sure you do it properly. First, place the bag with the fish in into the aquarium. Floating the bag in the aquarium for about 30 minutes will acclimate the fish to your tank's temperature at a slow pace. During this time, slowly add a bit of your tank water to the bag. This will help the fish get used to your tank's water, like the pH. Progression is key here: add a small bit of water and do it slowly. Any immediate change will result in a stressful shock to the fish. After a while, the fish should have had a slow acclimatisation, and it should be fine to add the fish for a successful transition. If you are adding fish to an already populated aquarium, there are a few further things you need to consider. The fish will already have an established pecking order, with territories and authorities set up. This makes things harder for the new guys in town. Rearrange all the rock work before you add the fish. By keeping the other fish occupied with claiming territory, the new addition would more likely be ignored. You also should feed them at the time of entry of the new fish. Again, they will be more likely to ignore the new guys when feeding (something African Cichlids love). Turning the lights off once this is all done will help the fish settle down too. Introducing the new fish at night time when their lights are turned out will mean that the fish are a lot less aggressive. All of these things will help reduce the stress of the new fish, and a thought-out selection process before picking your fish will result in a well-balanced, compatible tank. The liver helps to purify and produce new blood. When it isn't working in a balanced manner, sufficient amounts of healthy blood may not be reaching tendons, muscles and tissues. This may result in a lack of flexibility of muscles, tendon and muscle problems, tension in the upper back and dry eyes. This constant discomfort can lead to tiredness. Thanks a lot. Cichlidae in the order perciformes. Cichlids are members of a group known as the labroidei along with the wrasses, damselfish, and surfperches. Thanks. Depending on the fish, it may be a good idea to put the fish into a quarantine tank before introducing the fish to your main tank.